Looking for something striking or more subtle? Choose from an array of designer colors and styles to create a space that reflects your style. Stop by our showroom to create your own design, complete with hardware, crown molding, and countertop options. Sleek, simple, elegant, colorful, refined, sophisticated, bold, traditional, transitional, modern, industrial, ornate, rustic, eclectic, soft, minimalist… this is where your style meets utility in design. 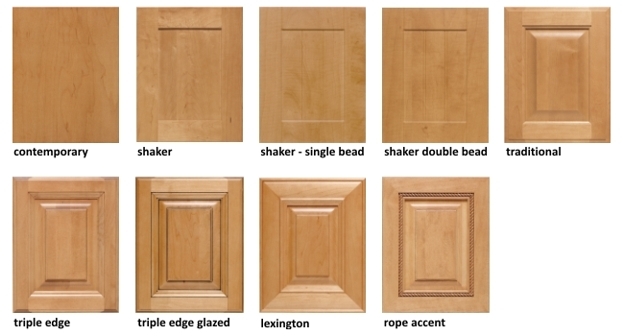 Door Styles – From simple shaker to detailed rope accents. Counter-tops – Choose from laminates, solid core, or natural materials. Custom Furniture Finishing – Select from real wood with beautiful stained, glazed, or painted finishes. Or choose from beautiful and durable composite finishes. Fabrics – Customize your project with designer fabrics to fit any decor ideally. Hardware – Beauty and function, down to the final detail. More Space Place offers an extensive selection of hardware so you can find the perfect complement to finish off your project. Melamine laminate is a lovely yet hardworking and cost effective surface that compliments any decor. Constructed with the highest quality substrate, durable, and easy to care for, contemporary laminates are a wonderful choice. 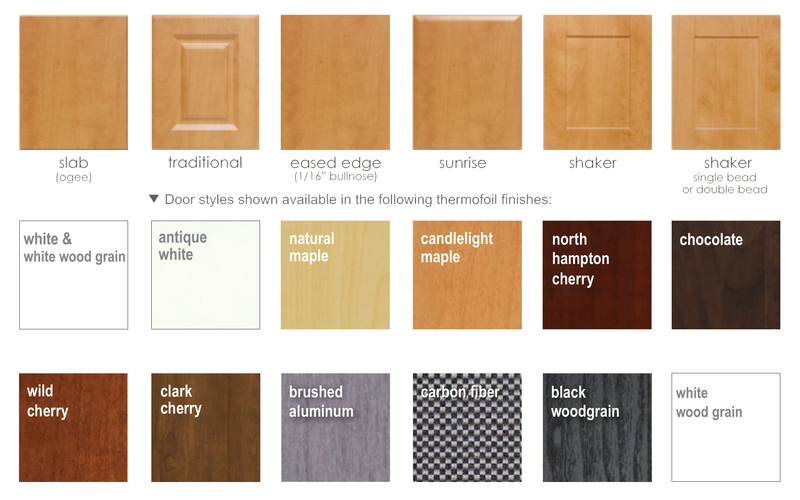 All laminate finishes are available in the Contemporary door style only, shown left. Our Textured Series offers a textured grain to the touch for an organic, natural look. Available in laminate casework, Contemporary and Thermofoil door and drawer front styles. Available in Contemporary doors and drawer fronts, cross grain provides a distinctive European style when combined with casework from our laminate series. Combined with laminate casework, our Thermofoil collection includes a large selection of door styles and finishes. This durable and long lasting material is easy to care for. See your More Space Place designer for more details. 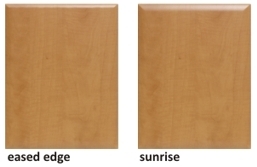 Sleek and stylish, our high gloss finishes come in Eased Edge and Sunrise door styles. Simple yet modern and elegant, these doors add a touch of style and flair to any design. Add the beauty and character of premium solid wood doors and cabinetry to your home. Our wood products come in an unfinished paint grade or stain grade. Our expert design staff is ready to assist you with measurements, furniture planning and pricing.